I wanted to introduce Shelly as my artist of the month. 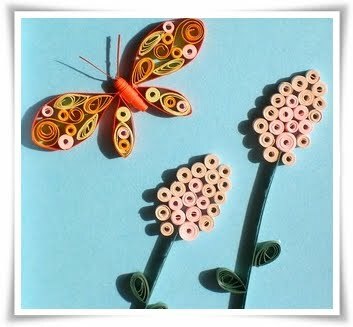 She does wonderful quilling work as well as making other crafts too. 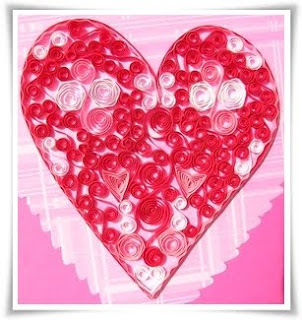 "I've been crafting since I was a young girl, starting with crochet and basic embroidery and moving into sewing, cross-stitch and eventually scrapbooking. The projects became more complicated as I aged of course, but crafting has always been a personal creative outlet for me. Recently I have been afforded the chance to share my passion for creating and hope to be able to have others benefit from my personal outlook on life." Visit Shelly at her store or follow her on Twitter. Thanks Shelly for all your hard work and inspiration! Shelly's work is fantastic! She's also a wonderful person and it's worth getting to know her and her shop so I encourage everyone to check it out! the quilled ducks in her shop are adorable! i've always been very interested in this artform. i did a little of this when i was young (before even knowing what it was called) - just some simple flowers. but i'm really impressed and inspired by shelly's work. fabulous!